Dr. Ben Tan graduated in 1991 with a medical degree from the National University of Singapore and obtained his Masters in Sports Medicine in 1997 from the Australian Institute of Sport. He is a Fellow of the Academy of Medicine Singapore (FAMS) and American College of Sports Medicine (FACSM). Dr Tan is presently Chief of Sports Medicine at Changi General Hospital. 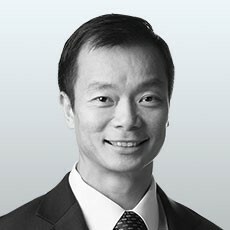 Dr Tan is also the Chairman of the Exercise is Medicine (EIM) Singapore and EIM Asia; Co-Chairman of the National Sports Safety Committee and Past President of the Sports Medicine Association of Singapore; Dr Tan won an Asian Games Gold and four consecutive SEA Games Golds, and represented Singapore at the 1996 Olympics in sailing.